Nick, leaning against a marble pillar with his arms crossed, observed the detective as she took in the view. He tried to figure out what was going on in that beautiful head of hers. She was stunning. Her hair, a rich sable color, fell just below her shoulders. Long, dark lashes surrounded rare blue-violet eyes. Her lips were full and softly sculpted. She was tall and lithe, and when she moved, he got a glimpse of the soft, womanly curves hidden beneath her jacket. She wrapped her arms around her waist. Was that a little shiver? She tilted her head back and took a deep breath, and then let it out with a long sigh. Nick could tell the minute Kennedy realized what she’d said. She turned to face him, looking totally mortified. Her eyes narrowed and her body stiffened. “Sorry, I don’t have the time to stand around getting off on scenery. And I sure as hell don’t have time to worry about whether or not I speak delicately. 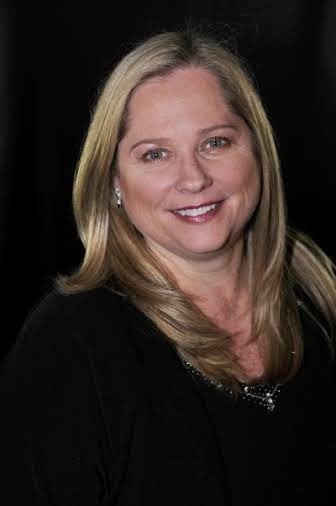 I have a few more questions I need you to answer.” Her voice had regained its hard edge. “Please, call me Nick.” He led her over to his desk and offered her a chair across from his own. 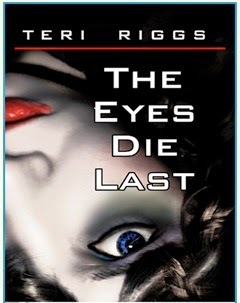 The Eyes Die Last by Teri Riggs is a 2011 Amazon Digital Services publication. I was provided a copy of this book in exchange for a honest review. “ Before turning to leave he took a lingering last look at her body. Her eyes, frozen in death, stared blankly up at him. Could she still see him? Strangely fascinated, he leaned in to closer look, ' I'll be damned', he said. 'The eyes die last'. Prostitutes get murdered all the time ...who cares? That's pretty much the consensus. But, when one, then two, then three get murdered, well, the not only are the cops interested but the media too. The hot Las Vegas heat compounds an investigation into the death of a prostitute. Kennedy comes from a long line of cops and her partner Wilder “Wild Thing” James is veteran on the force. This killer is intent on drawing attention to himself by taking “before and after” photos, proving he had planned out the murders by first stalking the victims. With a heated mayoral race going on and a bitter newspaper journalist thrown into the mix and more victims piling up, Las Vegas has just about reached it's boiling point. This good old fashioned police procedural puts me in mind of the thrillers I grew up reading and the cop shows I loved to watch in the 1990's. The dialogue is even a little old school and the story is pretty much straight to the point with personal lives of the detectives kept at a low key and the focus squarely on the investigation, not that there isn't just a little romance going on, it's just not the focal point. This is not romantic suspense. I love these types of no nonsense thrillers that do not rely upon shootouts, explosions and other bells and whistles to capture the readers attention. I felt like I was along for the ride as Kennedy and Wilder search for the killer. Ed Hershey is out for a story that will put him back in the spotlight after he covered a murder investigation a few years back and had really enjoyed his 15 minutes of fame. So, he has decided to insinuate himself into the investigation, much to Kennedy's annoyance. But, these murders couldn't have come at a worse time, as the legalization of prostitution is a heated debate in the mayoral campaign, with one candidate for it and the other vehemently opposed. Anytime a prostitute is murdered the list of suspects could be long, but in this case some of the suspects are rather notable citizens of Las Vegas. While the murders are solved by using old fashioned police work, and healthy dose of luck, there is just the fainted touch of paranormal elements in the really vivid dreams Kennedy has from time to time. These dreams feel like a warning or a premonition is some ways. The banter between Kennedy and Wilder is hilarious and real, which I enjoyed. Real people don't walk around throwing out brilliant, zany, and sarcastic remarks like we see in the movies or on TV. ( if they do, we usually don't find it all that charming and it evokes an eye roll) This made the characters seem more real to me and therefore easier to relate to. Now, if you read procedural novels you will not be disappointed. There may be some serious crime readers that will find the story formulaic or predictable and they would make a valid point. But, to me there are not enough of these types of stories out there right now. If I didn't already want to read this book, I would definitely want to after reading your review. Thanks. Thanks for hosting The Eyes Die Last and for the great review! A special thanks to everyone who stopped by and left comments. What a great review. I love the excerpt. Definitely a must read.